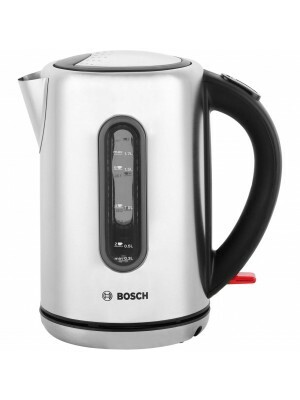 Stainless steel interior base with concealed heating element for less limescale build up. 360 degree base for left and right handed users. Double sided water level indicator. One-touch lid opening for easy filling. 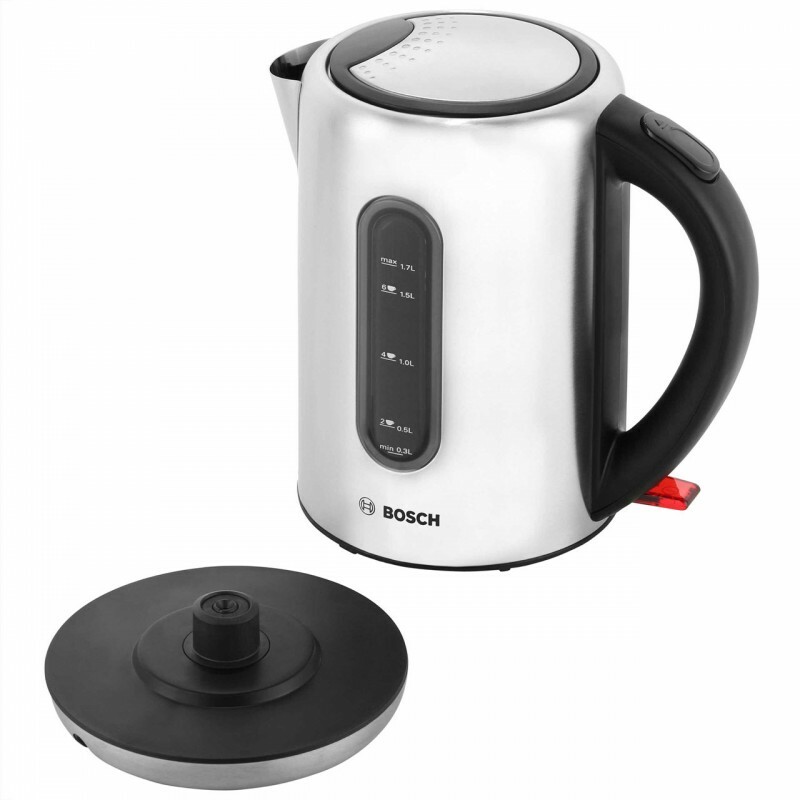 Safety lid with automatic switch-off. 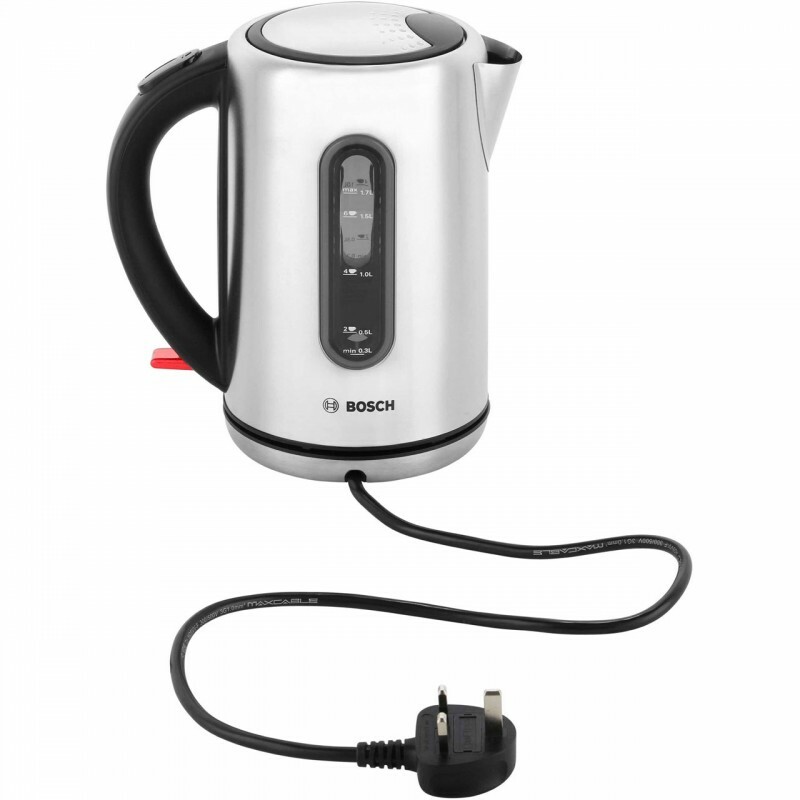 Automatic switch-off: kettle automatically switches itself off when water has boiled. 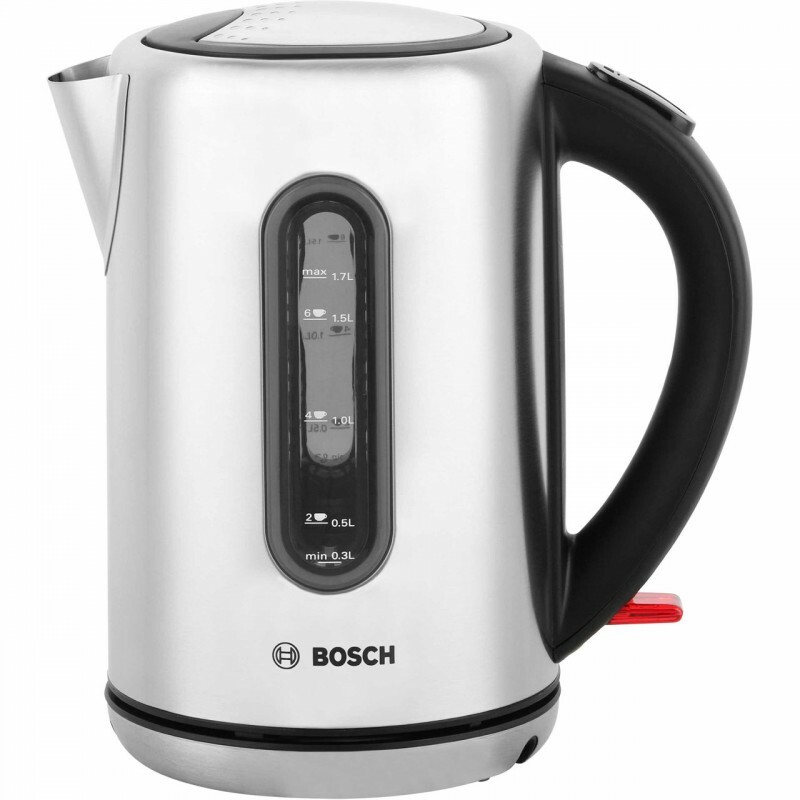 Lift-switch-off: The water kettle automatically switches itself off when removed from it's base.